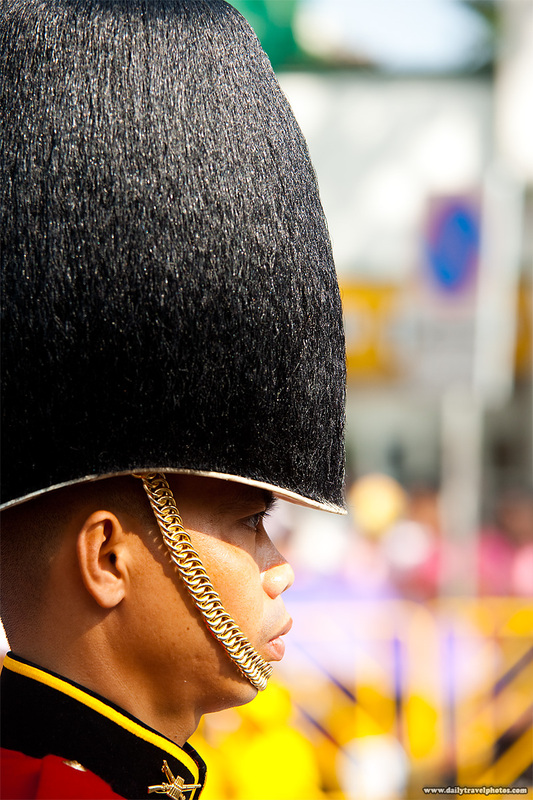 A member of the Thai Royal Guard awaiting the King's motorcade at the National Palace. Hot off the press: From the grand celebration of the 83rd birthday of the King of Thailand yesterday. Several thousand of us waited patiently for some hours in direct baking sun to catch the 5 minute parade and 2 second glimpse of the King's drive-by. Despite arriving relatively late, I still managed to snag a great position just by the entrance of the National Palace, where the King would be certain to enter. 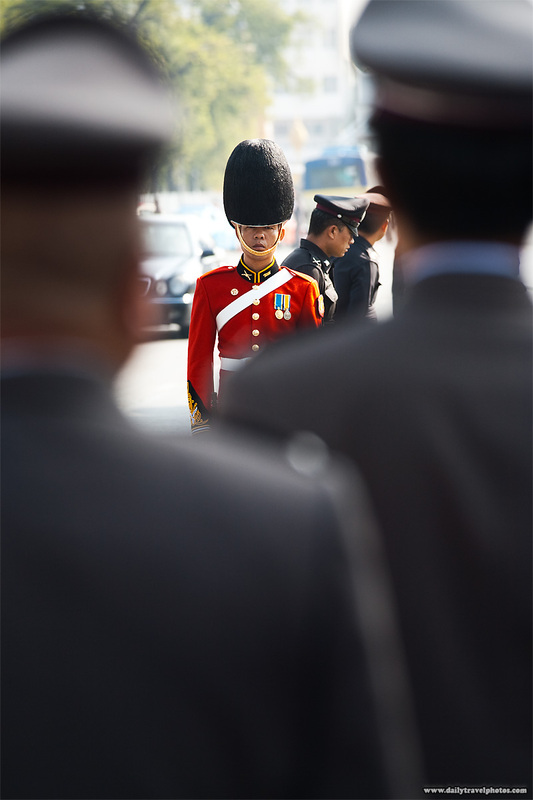 A Thai Royal guard is seen between high ranking military officers. I initially chose a perfect location and patiently stayed put while others filled in all around. Minutes before the King's arrival, we were told to move so my photographic position ended up being far less than ideal. More tk, tomorrow from this position.